Prominent & Leading Manufacturer from Navi Mumbai, we offer in-line continuous oil filtration system, portable batch filtration system and portable s s bag filter systems. We offer wide range of customised Filtration system from 1 Cu.Meter to above for Oil and chemicals. 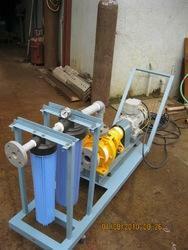 We also offer On-Line continuous Filtration system. System would be Portable , fixed as per demand. 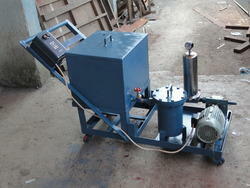 We can offer you Trolly mounted Filtration systems equiped with motor pumps etc.